Geology 101 doesn’t usually make the cut for best places to find a date, but when he saw her shining from across the room, a magnetism more powerful than any he had ever studied, it rocked him to his very core. O.K., I made most of that up. Embellishment, and taking puns too far, are faults I readily accept. 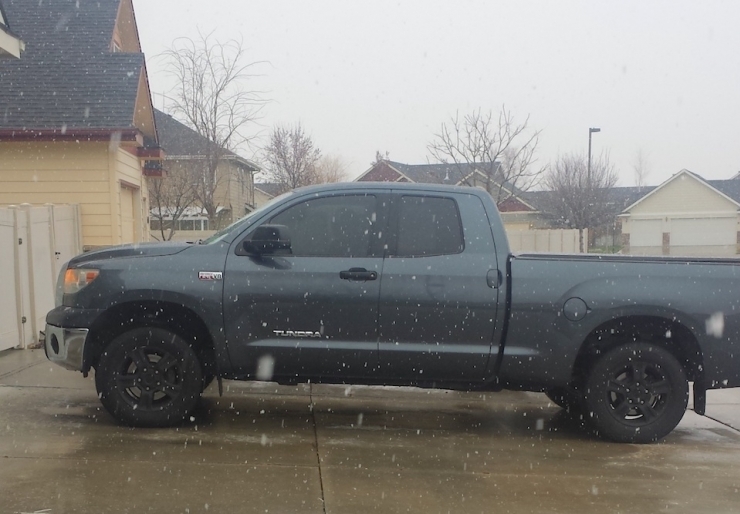 A really sweet Toyota Tundra. David knows a thing or two about transportation, logistics, and mobility, but we’ll get to that later. Life was rockin’ along for David and Pat. But in July of 2016, their foundation was rattled: Pat was diagnosed with cancer. 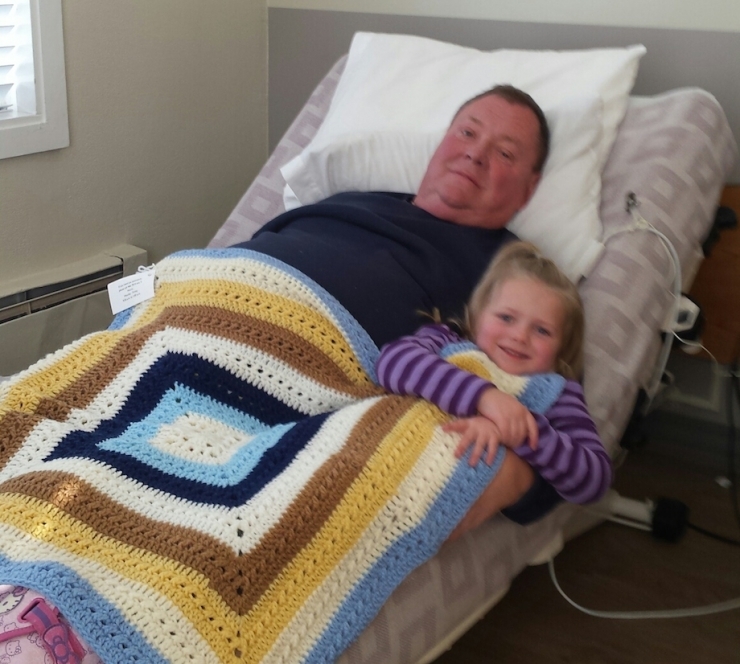 David was committed to helping her get better, supporting his bride during the fight of her life. He rolled up his sleeves and prepped for the fight ahead, neither of them realizing it would be a much bigger battle than they could ever have imagined. “It came on so fast,” David said in our interview. “I began to wobble when I walked, I stumbled and fell a few times, like someone pulled the ground out from under me. And I was losing my voice.” He wasn’t in any pain, and there was no obvious cause for these new symptoms. 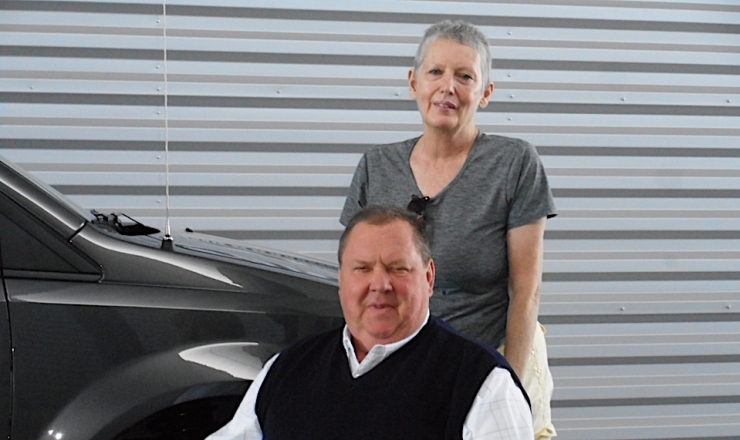 It had only been a few weeks since Pat’s cancer diagnosis – the timing couldn’t have been worse. David had worked all his life, he was ready to care for Pat, he wasn’t ready for this. I once read that people change careers five to seven times in their lifetime. I changed majors three times in college, so I like to think of it as advanced planning on my part, but I know my mom would disagree. David, on the other hand, went to work in the transportation industry straight out of college and never looked back. 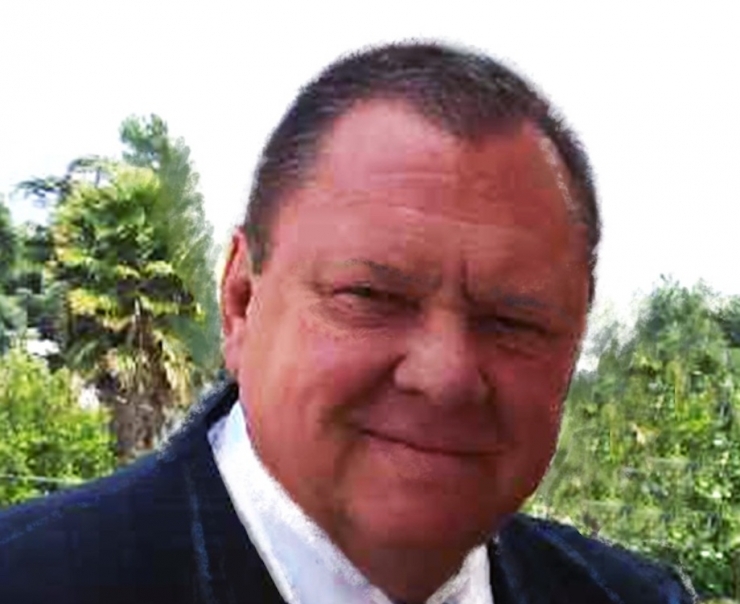 He worked his way up through sales and into executive management, racking up awards and accolades, eventually becoming one of the most sought-after consultants in the biz. David didn’t just win at work, he nailed civic engagement, plugging 20 volunteer hours a week into local Boy Scout troops, church groups, an employment center, the list goes on. “I would work all day, go home and change, and go volunteer,” he said without a hint of fatigue. David is a giver, he’s not usually the one who needs a hand. As his symptoms got worse, the doctors ordered more tests. 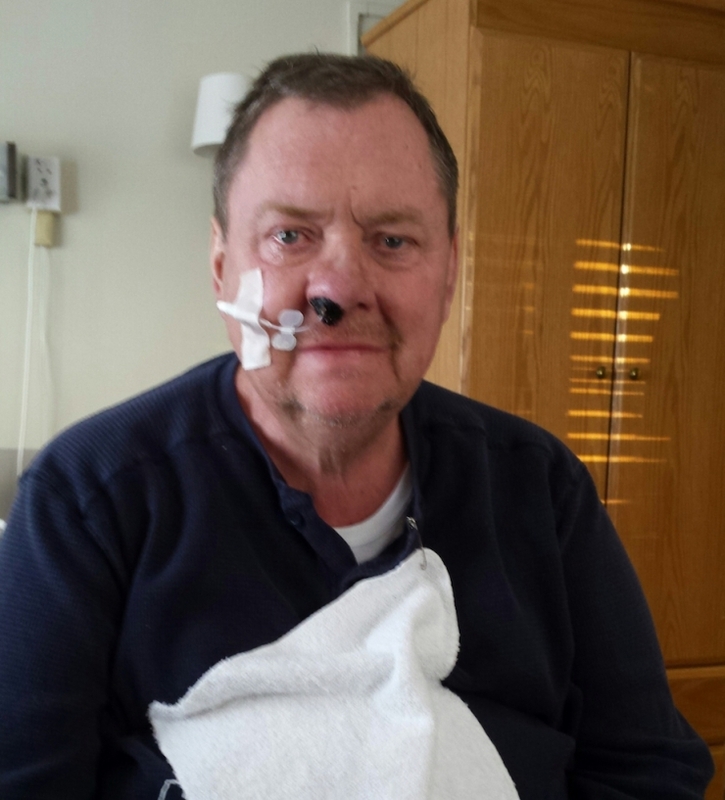 One panel showed elevated enzymes in his liver, but subsequent tests came back normal. Frustrated, David did what the rest of us Internet aficionados do – he consulted Doctor Google. The world wide web suggested polymyositis, an autoimmune disease where the body’s immune system attacks its own tissue. The muscles around the chest and neck are affected first, threatening patients’ ability to speak, swallow, and eventually, breathe. You just took a really deep breath, too, right? By November, things had taken a drastic turn. David was barely able to get in and out of bed, and it was far too difficult to drive his beloved Tundra. With medical bills piling up and no idea what the future held, he was forced to sell the truck. 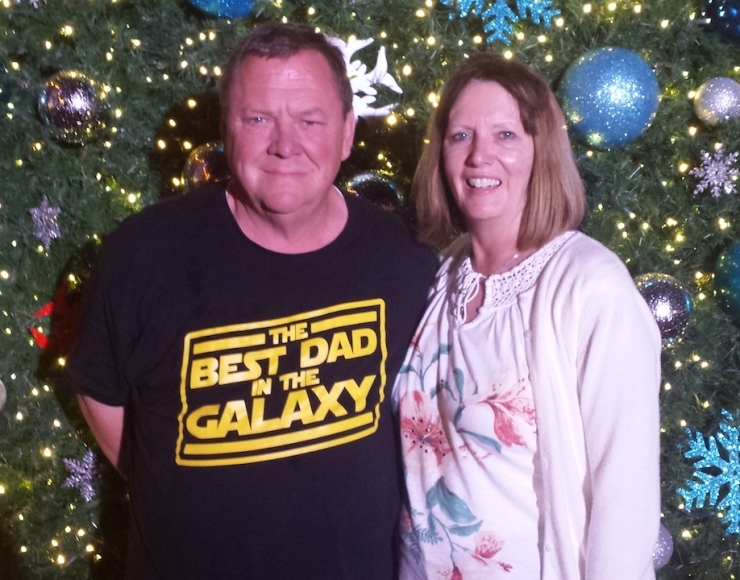 After Thanksgiving, David moved to a rehabilitation hospital to receive 24-hour care, and spent the next several weeks fighting a disease no one could identify. 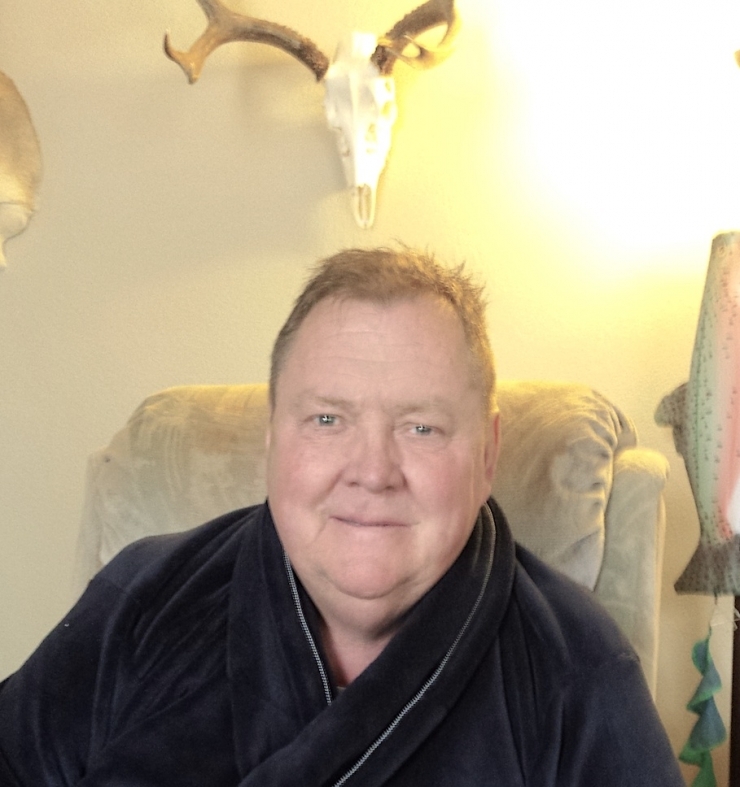 Doctors sent a biopsy of his thigh muscle to the University of Washington at Seattle, and in mid-January, he was finally strong enough to go home. Whether you’re religious or not, “Give, and you will receive” is spot on. It certainly is for David. When he couldn’t get up the stairs anymore, couldn’t make it to his own bed, his friends, neighbors, and well-wishers came through with a donated hospital bed, wheelchair, and all the equipment needed to set him up on the first floor of his home. They offered rides to the doctor, kept him company when he was home-bound, shoveled his snowy driveway in the middle of the night, and showed him the same unconditional service he gave his community for 42 years. It’s been nearly a year since David and Pat began the fight of their lives. David learned his sleuthing skills were correct, and he’s one of only 300 known cases of polymyositis. He needs a wheelchair almost all the time now – he’s just not strong enough to walk on his own for long. Pat, by the way, is currently cancer-free. Woot! 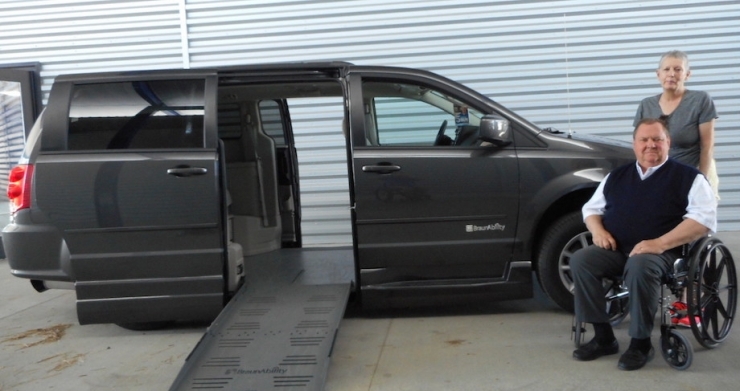 When the Chive Charities team was deciding what would have the most impact on David’s life, the decision was a no brainer…we couldn’t let the transportation expert and humble servant struggle with mobility. Thanks to the generosity of the amazing Green Ribbon donors, Chive Charities gave David a $48,000 grant for a wheelchair-accessible van and the freedom to do what loves the most: help others. For real. 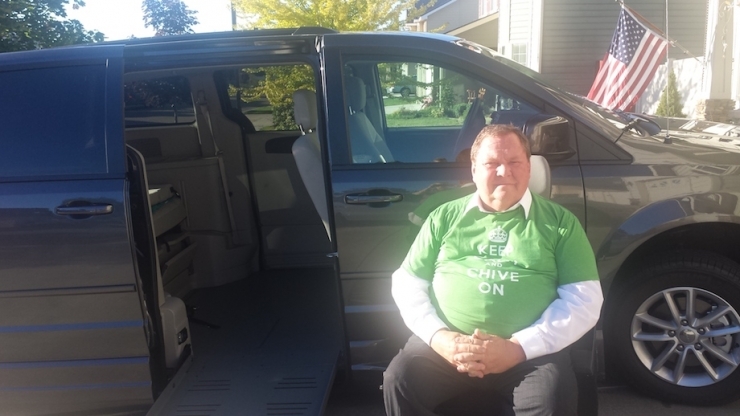 I asked David about the first thing he did when he got the new van, and the answer did not disappoint: he went straight from the dealership to buy a new wheelchair, returned the borrowed wheelchair, and offered to start a rideshare group for other wheelchair-bound Chive Charities recipients. He’s got a servant’s heart. There’s more good work to do, and we need your help. Click HERE to become a Green Ribbon donor and rock the world of another solid guy like David.